A branch point within a molecule of amylopectin. Three glucose residues linked 1 –> 4 with the top one branching off with a 1 — > 6 linkage. 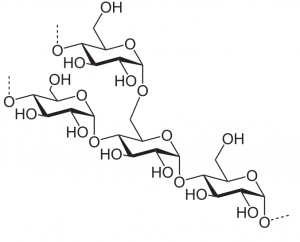 It’s Starch Week on Beer and Wine Journal, and today’s topic is amylopectin. 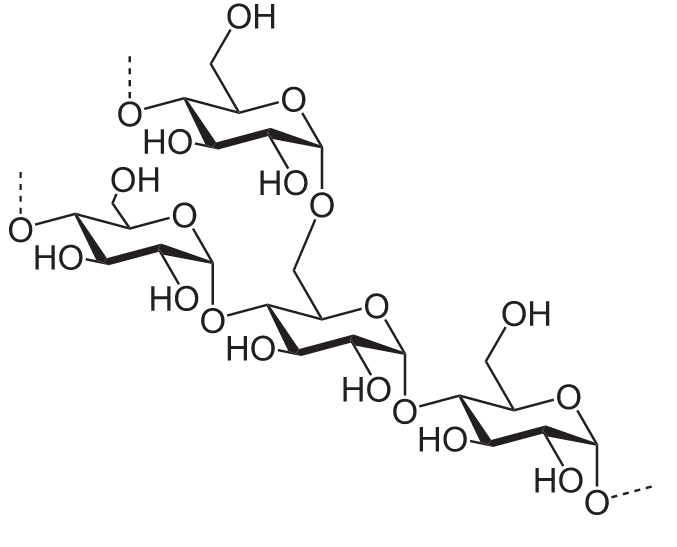 Amylopectin is one of the two components of starch, the other being amylose, which was covered on Tuesday.